Room-filling sound. Wireless music. Easy.Set up and connect in minutes. 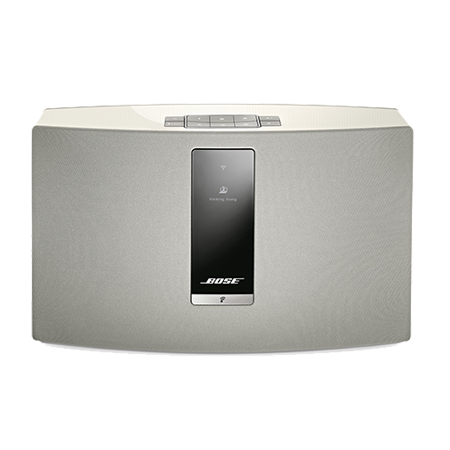 From one-piece music systems, to outdoor speakers, to home theater, each one delivers the kind of audio quality you expect from Bose. The app also transforms your phone into a powerful remote so you can control your music from anywhere in your home. Lets you stream music from your or a friends compatible device-whenever you want. This allows you to listen to sources not integrated in the SoundTouch® app. The product itself is excellent. So good in fact that I bought two more :) BUT!!! - Loads of trouble setting it up on my mac despite two hours of help from BOSEs excellent help line. The absurd solution was to borrow an iPhone, as I do not have one, download the app using that device and that subsequently allowed me to use the speakers with my mac.